The GE U28C was the company's second six-axle model it produced and was virtually identical to its predecessor, the U25C, save for a slight increase in horsepower. During its production in the mid-1960s many roads were still not embracing high-horsepower, six-axle models and thus the U28C sold poorly (it was actually the worst selling Universal model General Electric ever built save for the behemoth U50C/D models). There as a variant constructed, the U28CG, a passenger model that the Santa Fe requested. Despite the U28C's poor sales it paved the way for future six-axle U-boat models which sold very well like the U30C, U33C, and U36C (these designs ultimately sold more than 1,000 examples for GE). Today, there is at least one U28C preserved, Union Pacific #2804 at the National Transportation Museum in St. Louis retaining its original number and colors. The GE U28C began production directly after the U25C in December, 1965. It was all but identical to its predecessor (for instance it was the same length and weight and featured the floating bolster truck standard on many early GE C-C models) save for the slight increase in power to 2,800 horsepower using GE's 4-cycle model FDL16 prime mover. All the common attributes of early GE diesel locomotives were present in the U28C such as a standard/plain carbody design, short, low nose and relatively good reliability. Its tractive effort was slightly higher than the earlier U25C with 92,500 pounds of starting effort and about 79,500 pound continuous. The U28C also saw General Electric finally change the length of its six-axle models. Whereas the U25C was built upon the same frame as its four-axle counterpart, the U28C was 64 feet, 6 inches in length which was over four feet longer than the U28B. 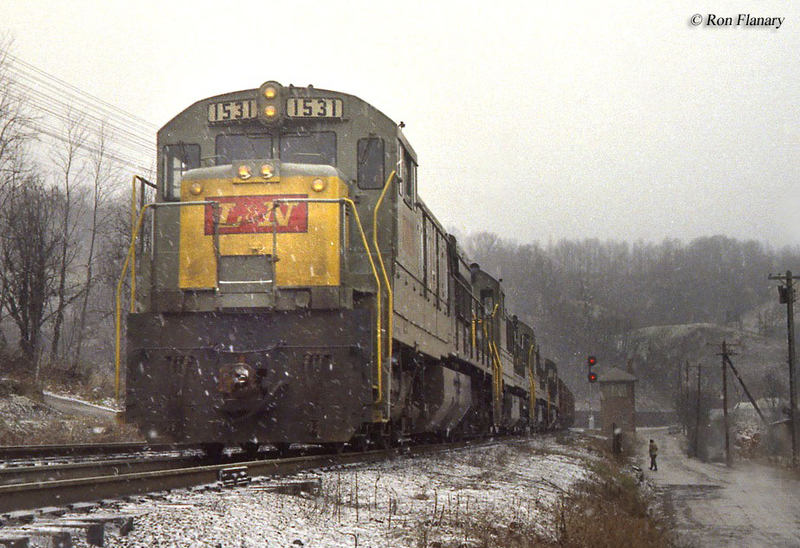 Up until that time, the mid-1960s the U28C was also GE's heaviest locomotive with a weight of 183 tons. Overall, however, this weight was a significant detriment to the model especially considering that Alco's comparable C-628 weighed in at 204 tons. For the variant U28CG its ratings were somewhat different. It held less fuel and its horsepower was rated only at 2,630 but it offered far more starting tractive effort, 98,875 pounds. The locomotive was also quite a bit heavier, topping out at 197.75 tons. 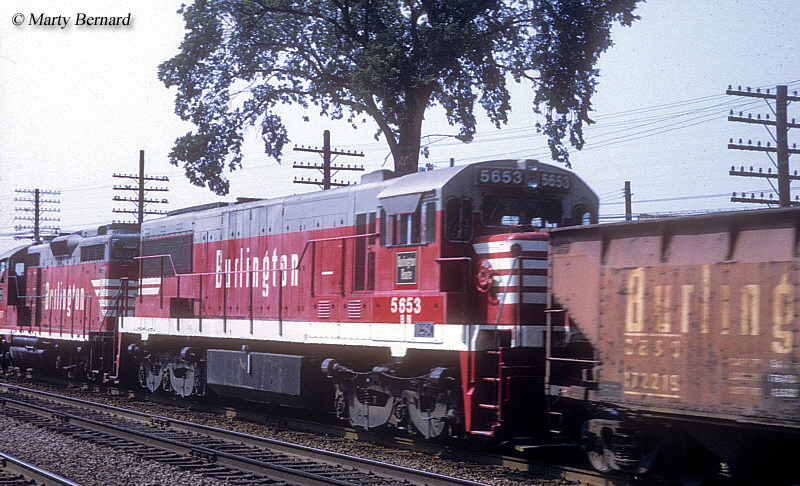 While the U28C sold poorly it was purchased by a handful of railroads including the Burlington; Northern Pacific (which would purchase many of the various Universal models); PRR; UP; SP; and L&N. While only 71 U28Cs were ultimately sold through December, 1966 there was a variation of the model purchased by the Santa Fe, the U28CG, mentioned above. The railroad purchased a total of 10 U28CGs, which was equipped with a steam generator (since the U28C model was built to feature the addition of steam generators the U28CG's dimensions were the same), to use in passenger service. 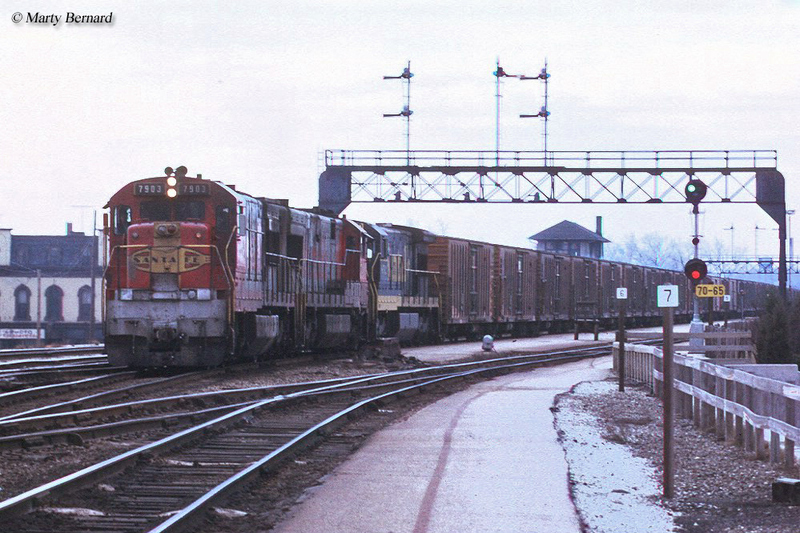 Service problems became an issue with the U28CG and Santa Fe ultimately reassigned to freight service where they remained in service for only 14 years when they were retired in 1980. 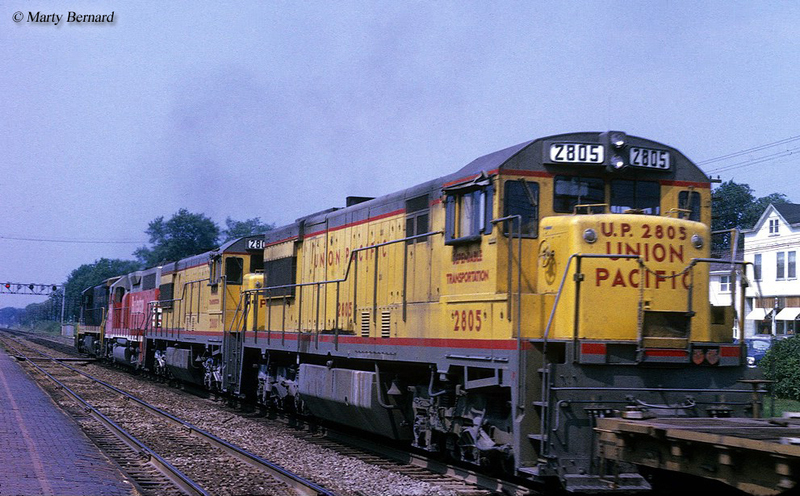 For the Class Is which purchased the U28C, most retired them from their rosters by the early 1980s such as Conrail, Seaboard System, Burlington Northern and Union Pacific. By that time was GE offering more powerful models, which were also more reliable such as the Dash 7 series and early Dash 8 designs. Lastly, for more information about the GE U28C please refer to the chart below for a complete production roster. For more reading about GE's U-boat line the bookU-Boats: General Electric's Diesel Locomotive by author Greg McDonnell provides a complete history of the company's first production diesel models. Also, noted historian Brian Solomon has authored a number of books covering the history and background of GE's locomotives. Two, which provide a general but thorough coverage include GE Locomotives and GE And EMD Locomotives: The Illustrated History. As with virtually all of Mr. Solomon's you can expect a well-written title with large, crisp, and sharp photographs.